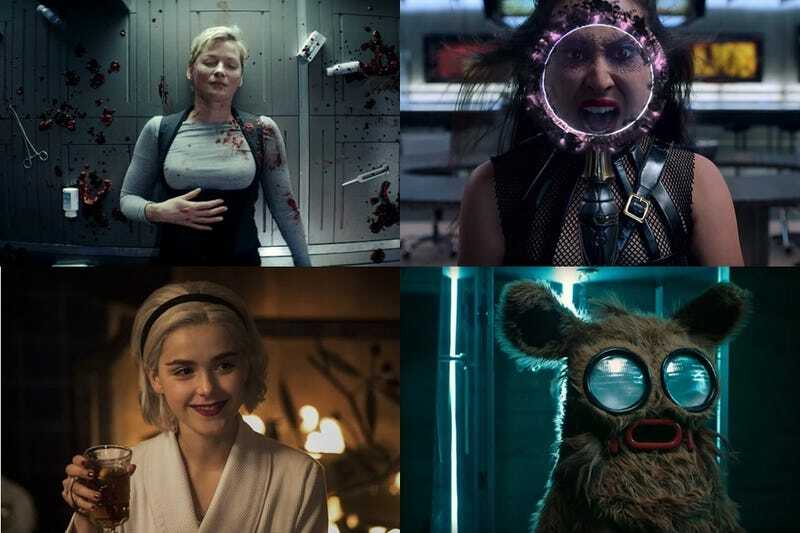 Clockwise from top left: Nightflyers, Runaways, Into The Dark: Pooka! & Chilling Adventures Of Sabrina: A Midwinter’s Tale. While most shows are heading towards a holiday hiatus, we are still getting some premieres. A space-set George R. R. Martin series starts this month, broadcasting over a two week period. Sabrina returns with a winter special, along with the Travelers, the Runaways, a pair of Howard Silks and the final time adventures of Lucy, Wyatt and Rufus. Also airing in December is the DC Elseworlds cross-over featuring The Flash, Arrow and Supergirl. Continue reading below to discover when everything will be on your screens. An orphaned boy raised by animals in the jungle seizes his destiny while confronting a dangerous enemy — and his own human origins. MythBusters spinoff features six young regulars (aged 12-15) alongside returning host Adam Savage. A weekly, half-hour topical animated series set in an extraterrestrial newsroom.